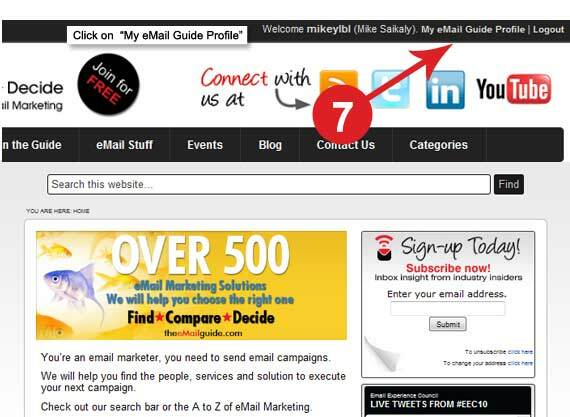 Welcome to The eMail Guide community! In just a few easy steps, your profile will be set up and listed here on the Guide. Our step-by-step walk-through will help you to claim or add your listing with us. If you would like some help or for any trouble shooting issues, please email us at info@theemailguide.com or call us at 416-225-7711 ext. 500. You can expect a response within the same business day! Click on the ‘Join the Guide’ or ‘Click here to register’ link at the top of the page. Fill out the form to create a user login and password. Check the email you used to sign up. Click the confirmation link, in the email sent to you, to activate your account. Once your account has been activated, simply log-in. 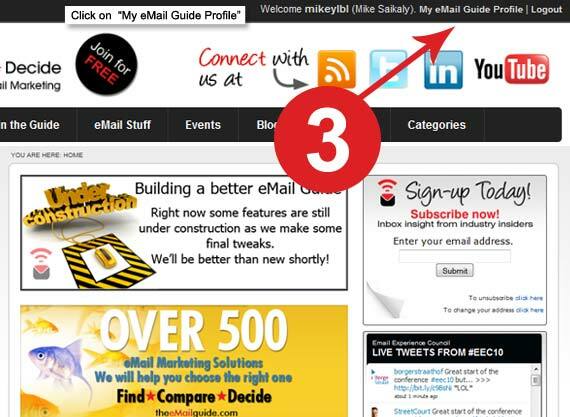 Click on the ‘My eMail Guide Profile’ link adjacent to the login fields. Once we confirm your claim, you can then edit and update your listing page. If you are creating a new listing, simply proceed to add a new listing and complete the form. 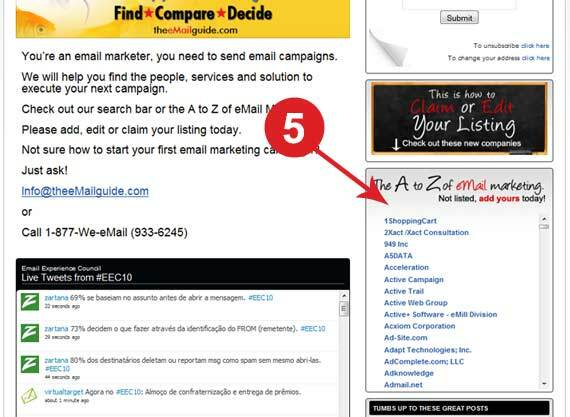 We’ll automatically add a screen shot of your website to the listing based on the web address you provided in the form. To complete your profile, make sure to add an avatar. 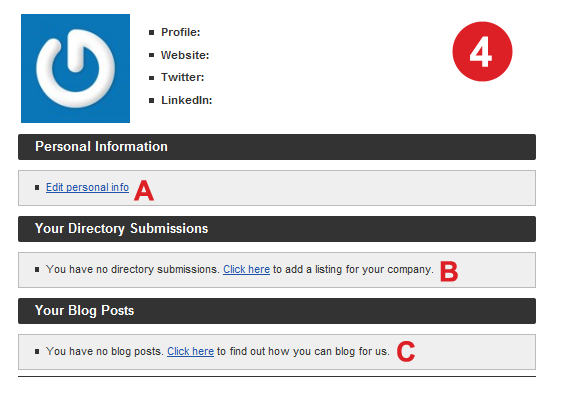 Make sure that you are not already listed on our site before submitting a new directory listing. 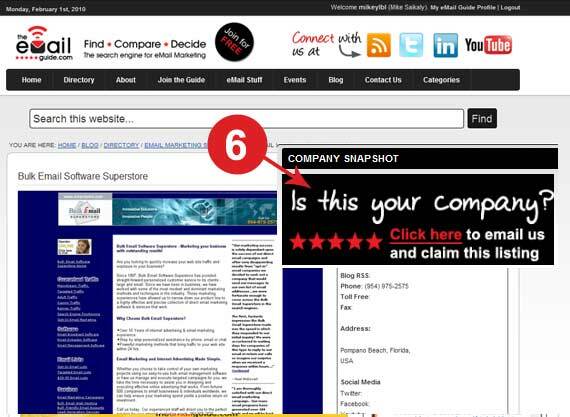 Search for your company name to begin. If you come across your listing, click on the Claim Listing Link. 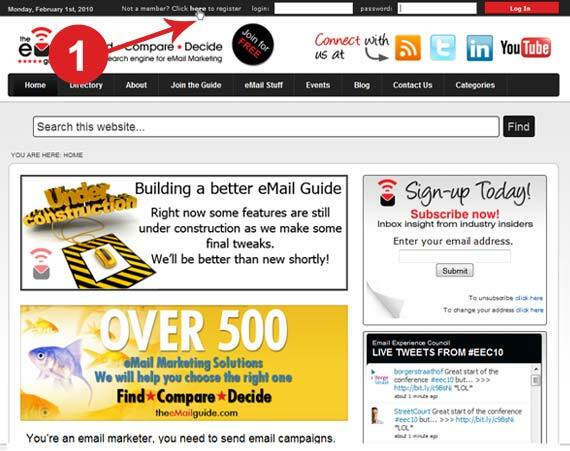 Ensure the address in the email is the same as the domain you are claiming. in the “Your Directory Submissions” section of your profile page. Need Help? Just ask. We’ve got answers!